Archbishop Sample is trying to clean up the mess Archbishop Emeritus Vlazny has left. Sorry to say that Monsignor Dennis O'Donovan now is trying to make a noise that was drowned out long ago by those he worked with. Father Peter Smith will have to clean up his mess too. Monsignor O'Donovan didn't believe that Roger Martin, the lobbyist for the Archdiocese, was pro-abortion. The legislators he worked with this confirmed it. The players in trying to destroy the Catholic church depend on behaviors they use as a weapon for hating the Catholic Church, homosexual actions, as a banner for "pride" they want to encourage. The hierarchy of the Archdiocese of Portland has a long history of confusion on Church teaching making the advent of Archbishop Sample a threat to the status quo they want to hold on to. Look up names in the article on this blog to see their VOCAL history. St. Andrew's Catholic Parish Will Carry Banner in Portland's Gay Pride Parade. Parishioners from St. Andrew Catholic Church, which has a longstanding commitment to social justice issues, will march in Sunday's Portland Pride Parade with a banner proclaiming their parish identity, despite the wishes of Archbishop Alexander K. Sample. At least four Catholic parishes are expected to participate in the parade, according to the Rev. Tara Wilkins, executive director of the Community of Welcoming Congregations. Members of St. Francis of Assisi, St. Philip Neri and St. André Bessette (the Downtown Chapel) also are expected to march. In the past, they have carried parish banners, Wilkins said. Monsignor Dennis O'Donovan, vicar general of the Archdiocese of Portland, called St. Andrew's pastor, the Rev. Dave Zegar, on May 31 on behalf of Sample, parishioners say. O'Donovan relayed the message that individuals could walk in the parade but that the archbishop did not want St. Andrew's members to walk as a community. 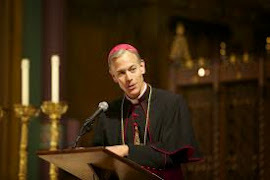 Sample, who was installed as archbishop April 2, is in San Diego to attend the annual summer meeting of United States bishops, according to Bud Bunce, spokesman for the archdiocese. He could not be reached for comment. Bunce confirmed that O'Donovan had made the phone call. While the archdiocese respects all people, Bunce said, "this was not an event that St. Andrew's parish could be in as a parish." On June 4, Zegar met with a group of St. Andrew's parishioners, who decided to stand by their 17-year commitment to Portland's gay community. At Mass on Sunday, Zegar shared the group's decision with the congregation, who responded with a standing ovation, according to Tom Karwaki, who chairs the parish's pastoral council. The Rev. Steve Newton, a Holy Cross priest who is pastor of St. André Bessette, said no one from the archdiocese had called him about the parade. Parishioners from the Downtown Chapel have walked in the parade for years. "The Catholic Church supports gay people, even though there is a broad difference of opinion on their lifestyle," Newton said. "The Community of Welcoming Congregations stands with and supports local Catholic parishes that want to bring a message of love and hope to the LGBT community," Wilkins said. At St. Andrew's on Sunday, a bulletin insert recounted the history of the parish's welcoming ministry. A formal committee began meeting in 1996. St. Andrew's helped staff a booth at Portland Pride in 2000, and members began marching with their banner, which reads "Welcoming the Whole Family," in 2001. Susan Kelly, a member of St. Andrew's since 1969, said the move to become a welcoming congregation was partly due to a respected couple within the church who were parents of identical twin girls. The twins "came out" in high school, and their parents agonized over how the church would react. The mother finally confessed to a friend at St. Andrew's. "It got us all thinking about how we deal with this issue," Kelly says. "How can we reach out and get over this Christian – not just Catholic –attitude that if you're gay or lesbian, you're not part of the community?" The official teaching of the Catholic Church is that homosexual acts are contrary to natural law and incompatible with living a Christian life. But 2006 pastoral guidelines from the U.S. Conference of Catholic Bishops say the church must welcome homosexuals to full and active participation in the faith. St. Andrew's bulletin insert quoted the document. "Essential to the success of ministry to persons with a homosexual inclination will be the support and leadership of the bishop and other pastoral leaders," the guidelines read. "This is particularly important because more than a few persons with a homosexual inclination feel themselves to be unwelcome and rejected." How many feel unwelcome became evident Thursday when the Pew Research Center released the findings of an April survey on the religious attitudes of lesbians, gay men, bisexuals and transgender adults. Eight in ten adults said the Catholic Church, along with Islam and the Church of Jesus Christ of Latter-day Saints, were "unfriendly" to the LGBT community. Kelly summarized the reasons that parishioners are insisting on carrying their banner in one word: visibility. Joy Wallace, a member of St. Andrew's since 1998, says it is common for members of the gay community and their advocates to seek out St. Andrew's because they've seen the parish represented in the annual Pride Parade. "The banner is important because it says we are a community of faith," says Jane Braunger, a parish member since the 1980s. "For us not to embrace this statement as a core commitment about openness and acceptance and living the Gospel is cowardly." Karwaki said parishioners would like a chance to talk to the archbishop about their ministry and explain their commitment to the Pride Parade. He says Zegar asked for such a dialogue and the parish is drafting a letter to Sample. "We're not acting out of disobedience," Karwaki said. "We're acting out of obedience to the Gospel and the mission of this parish." How can they be Catholic and support the gay community without Courage or Dignity chapters? Something is fishy here, hopefully the Archbishop will sort it out. The Archbishop will sort this out; have faith. Also, social justice IS important to the Catholic Church... it is everything. It's not a dirty phrase. Perhaps you could rephrase it in the future, as it is confusing when you act like social justice is a bad thing. Its amazing how people twist the truth to justify their ends. Yes we are to welcome the sinner, but the sinner has to repent. Wow! We have a Catholic in charge now! Prayers for the Archbishop. INFORMATIVE EMAIL!!! It appears that Archbishop Sample is bringing THE TRUE ROMAN CATHOLIC FAITH back into the Portland Archdiocese---and the LIBERALS are squirming!! We hope and pray that Archbishop Sample will stand fast against the APOSTATES who have ruled the Portland Archdiocese for too long!! AS CATHOLICS, WE LOVE THE SINNER AND WE HATE THE SIN (HOMOSEXUALITY)! Dear Anonymous #1...I have no doubt that Archbishop Sample will try and sort things out. I don't know what was said against social justice. Please define this phrase for me. I don't think social justice is THE only thing. I think the Divine Justice is the only thing. Following His teachings, even when it SEEMS that they are harsh because we are so far from Him is the problem. Please note that the phrase about "social justice" was a quote from the Oregonian article, not the phrasing of VOCAL. Having read this morning's Oregonian about St. Andrew's Church, I feel strengthened by Archbishop Sample's actions, public presence and the courage he has shown thus far. Secondly, I humbly submit that Fr. Peter Smith is the only priest in this town (in addition to our new Archbishop) that I would trust to explain, clarify or share the essence and foundation of the Doctrine of the Roman Catholic Church. I hope and pray for these two men to press on and be true to the Faith, take bold actions when necessary and continue to be outspoken public Apologists for the Faith - The Church - rather than apologizing for it, devaluing it and reinterpreting it - Moral corruption and Relativism. The Church, as a whole has had to hang its head low for what was allowed to happen to its youth - trauma imparted into their hearts, minds and souls for life. Collectively we have all had to pay a price, second only to the victims, is the undermining of the Teaching Authority of the Church. Having spoken with Emeritus Archbishop Vlazny on more than one occasion, he had many an uphill battle, including leading the Shepherds of Portland back into the fold; I wish he had been more visible on many things and taken even more blows, but to his credit, he pulled the Archdiocese through a tough battle and was present at many a Pro-life event as well as supporting Catholic Organizations such as the Knights of Columbus with his presence and his talks. I wish him and our Emiratus Pope Benedict all the best in their retirement and thank them for their contributions while managing to stay the course. As most adults know, it can be hard to ever put painful memories behind oneself, especially when we have to live with the consequences. No Catholic alive today will ever forget what has been exposed in recent years, but we must move forward, and in that effort, I thank God for Priests like Archbishop Sample and soon to be Vicar General, Fr. Peter Smith and, of course, Pope Francis who is leading the way with great strength and humility. Carolyn, I appreciate what you have done and continue to do very much; you are truly a Torch Bearer for The Light of the Church, May the Holy Spirit keep you strong. Thank you, Carolyn. I saw the article in the Oregonian today. pray for him and the faithful. have someone looking out for me, so protected. For a cleric to finally stand by the Church is such a strange thing in Oregon. I know that AB Vlazny was there, but not there. Mary Jo Tully seemed to be in charge. Just look at her list of "duties". She truly was the "archprincess". 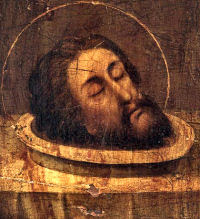 The things going on the St. Andrew etc, is to be expected with the lack of Catholic values slowly eroding over the years. The last bastion was the Office of Marriage and Family Life. Jay Wonacott was driven out and deemed valueless when it was his Office who valued us. There are cameras and microphones at the Pastoral Center I'm told. We would have to have a different meeting place with the Archbishop to actually talk about Catholic things. Msgr. Dennis O'Donovan was very helpful to me when I was in a difficult situation, and because of his kindness I returned to the Catholic Church. I think you might be too hard on him. What more could one man have done in his situation? (I'm not informed about this...I really want to know). Susan I'm so happy that Monsignor O'Donovan was helpful to you. For years he allowed Roger Martin to be the lobbyist for the Archdiocese, never looked at Martin's testimony which played into the hands of the pro-abortionists at the very least. There were too many dissidents around him and he apparently didn't have a recourse without making his life miserable. The laity has our lives made miserable over the years by non action on we hold dear. I am harsh in this case. We need leaders in the Church because we are all soldiers for Christ. Many people were hurt by this inaction. I am so happy that you were helped by the Monsignor. He is a good man. I'll bet he's happy now that Father Smith is at the helm. Maybe now he'll read about Roger Martin. It actually made the 11 o'clock news! I really believe in my heart that most people want the Catholic Church to hold Her values. Those in "Power" right now in some Catholic churches in Oregon have tried to corrupt Her and Her voice, especially Her children. So, was Msgr. O'Donovan the final word about who the lobbyist is? Or is the final word the bishop? Perhaps Msgr. really had his hands tied. Susan, He was in charge of the Oregon Catholic Conference. It wasn't deemed necessary to even question Roger Martin nor seemingly being vetted. He's a nice man. Just so wrong about Roger. At least Archbishop Sample is having him do General Vicar responsibilities as this article mentions. Mary Jo Tully would usually been in charge. The video of Bishop Sample giving a homily really demonstrates what a classy dresser he is. I don't think I've ever seen Archbishop Vlazny with such ornate lace on his sleeves. I would settle for AB Vlazny just taking the heat against the homosexuals in the Archdiocese. They have a big voice and have long ruled things. I must say however, that Archbishop Sample's "lace" is well deserved through his words of beauty and truth. Last night's newscast showed St. Anthony "catholic" church and their banner in the pride parade.... sort of an "in your face" reply to our new Archbishop, don'tcha agree? By the way, I think your blog coverage of the situation in Oregon is great.. too bad that his secretary is the same one as worked for Vlasny ! I would feel better about talking to him if it didn't go through those channels... sigh. Oh, well. The pictures show on their faces great "in your face Archbishop Sample" expressions. We have some "gals" who are indeed wild and need a big dose of Holy Spirit respect. Roger Martin, our "lobbyist", was a member of the Oregon legislature from 1966 to 1978. During that time he voted several times FOR pro abortion laws. It is a matter of public record for those who are interested. Thanks to VOCAL for pointing this out. I hope Archbishop Sample institutes the policies Bishop Vasa uses. When you call and ask for him, you are put right through and he talks to you personally. (I know this by personal experience, twice). I also hope the Archbishop will open his own mail. He could farm the paperwork out later, after he knows what is really coming in. Maybe he could get a post office box for the Archdiocese that only he and a trusted colleague have the key to? I wrote to Bishop Vlazny once and got a silly response from Mary Jo Tully. Archbishop Sample and the pallium.